Natalie Dormer: A biopic is next for the actress! Currently in its early stages, a TV show about the icon Vivien Leigh is currently in the works. The actress Natalie Dormer is set to be the producer and the main protagonist at the same time. According to Deadline, the series, which will star Natalie Dormer, is still in its early days. The number of episodes and the title are still details which are yet to be determined. What is sure, however, is that the biopic will revolve around the life of Vivien Leigh. The autobiographical films will be based on the actress’s past movies and on Kendra Bean’s book. Who was the star Vivien Leigh? The series are projected to depict the good and bad times that prevailed in the life of the Hollywood icon. 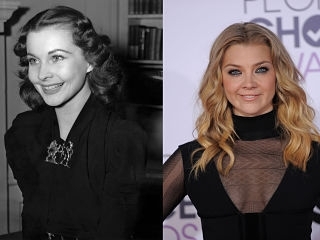 The actress, who will be portrayed by Natalie Dormer, is mostly known for her performances in the movies ‘Gone with the Wind’ and ‘A Streetcar Named Desire’. The flicks enabled her to be one of a few select performers to win 2 Best Actress Oscars. She was also famous for her issues with mental health. After working on two projects for Amazon Studios, where she was the co-writer, Natalie Dormer announced that she wanted to be more involved as a producer. She is one of the main protagonists of the HBO success ‘Game of Thrones’. The actress also had major roles in TV series such as ‘The Tudors’ and ‘Elementary’. As the television project is still in pre-production, it does not have a release date yet. FremantleMedia and MainStreet Pictures will produce the biography alongside the actress Natalie Dormer.